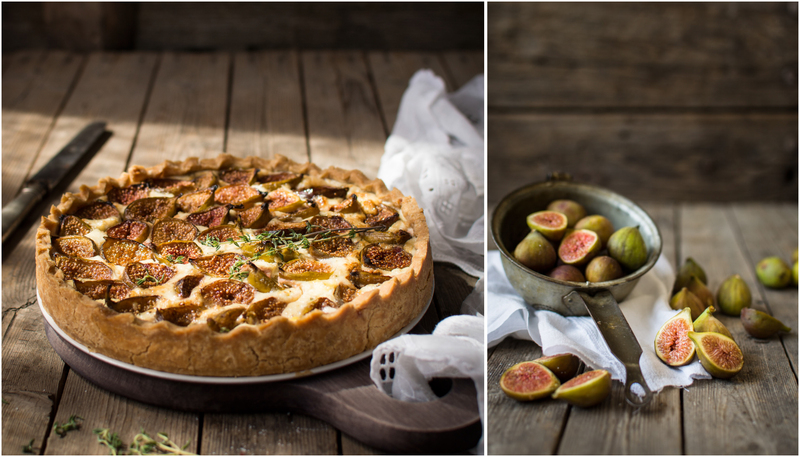 This gluten free cheese and figs tart would complete perfectly any brunch, lunch or picnic. Recipe is easy to prepare and fairly quick. Good thing about this recipe is that you can prep it in advance and just assemble and bake right before you need it. Preheat your oven to 180C (350 F) and grease a 24 cm. pie dish. Combine all types of flour and salt in a large bowl. Add the soften butter (chopped into small pieces) and start mixing with your hands and fingers (or in a food processor if you prefer) until the mixture resembles breadcrumbs. Add the egg and knead until the dough comes together. If dough is too dry and doesn’t come together add one or two table spoons of water, one by one, until dough is wet enough to form a ball, but not too sticky. Shape dough into a disk, cover in plastic wrap and put in the fridge to firm up, about 30 minutes. In the meantime prepare the filling: Heat a little bit of flavorless oil in a large skillet. 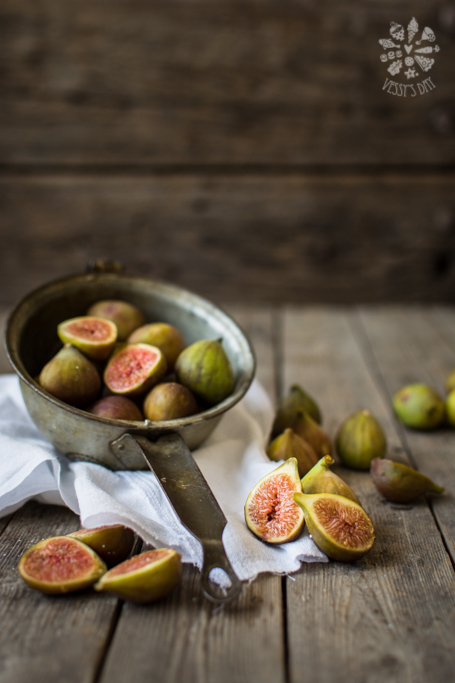 Cut figs in half, brush with a little bit of balsamic reduction and cook, cut side down until crispy. Set aside. Take pastry out of the fridge and roll on a floured wooden board or on your counter. Gently fit in the rolled pastry in the greased pie dish, cover bottom and sides of the dish by pressing with your fingers and palms. In a large bowl, beat lightly the eggs, add cream and season with salt, pepper and fresh thyme. Pour the egg-cream mixture over the pastry. 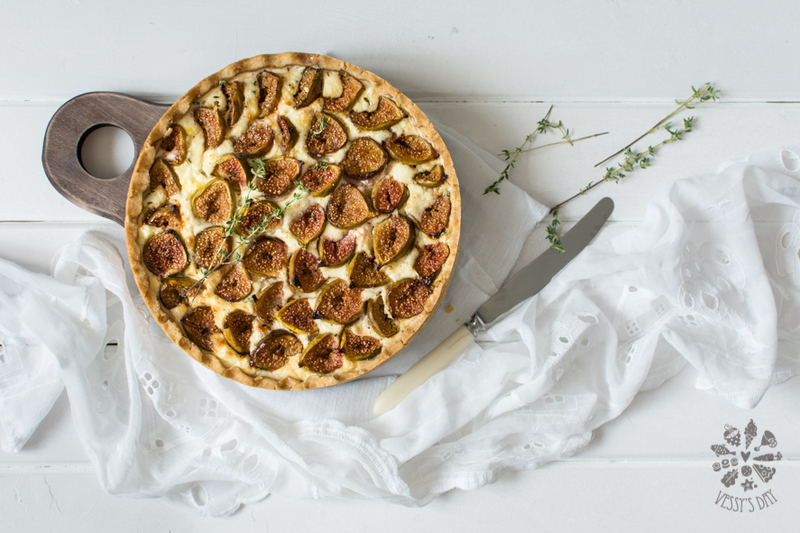 Sprinkle the goat cheese on top and then arrange the figs on top of the cheese. Bake for about 30 minutes then let cool for a bit before slicing it. Thanks Sabrina! 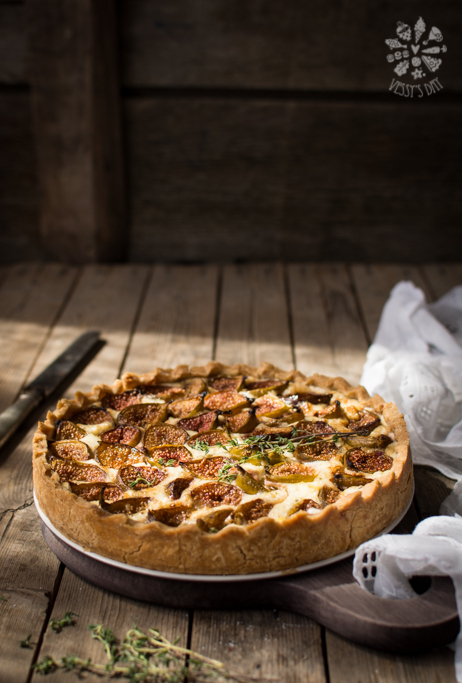 A pumpkin tart sound delicious too! Enjoy it! Gorgeous, gorgeous pictures. This looks like a great multipurpose gluten free dough too! Thank you, Emma. You are right about the dough! Thanks, Thalia! Figs could still be found around here, but the season is pretty much over. Next year, I will definitely make this one again.